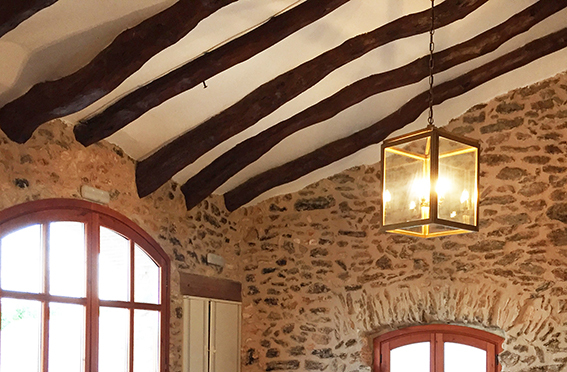 Mas Llagostera is a charming 16th century farmhouse surrounded by vineyards, located in the region of El Baix Penedés (Tarragona), that has been rebuilt to focus on sustainable tourism, making it an ideal place to celebrate all kinds of events surrounded by nature and winemaking tradition. For the house entrance, in Dajor we custom-produced an external high-rise floor lamp, with a rigid body finished brass effect with three arms at different heights and three hand-blown glass pumpkins with metal grille. 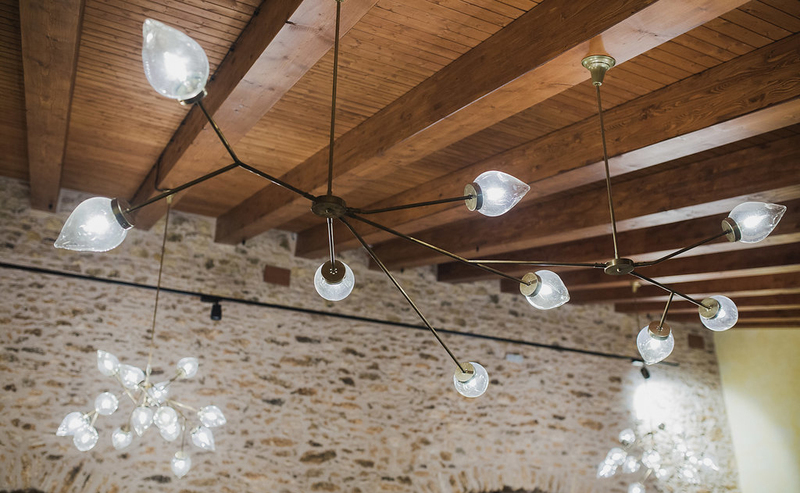 For the main hall, we created different hanging tree-shaped lights, with transparent hand-blown glass tulip suspended by rigid chains or stems. Its gold finish goes very well with the high wooden ceilings. 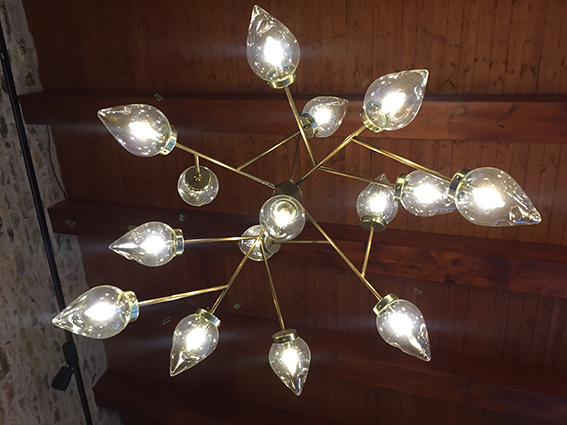 We also manufactured a lantern with gold finish structure and transparent glass with a capacity for four bulbs that provide a warm light creating a very nice vintage effect. 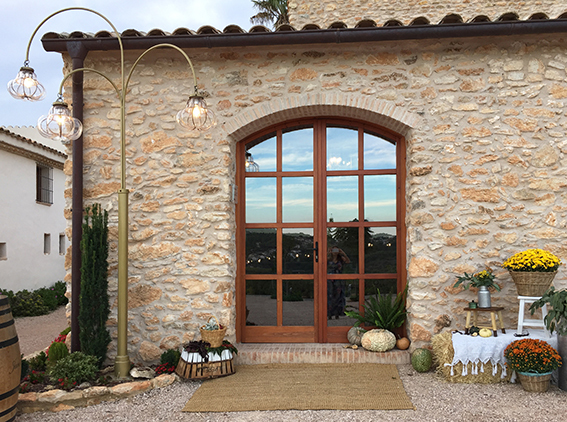 Finally, we decorated the patio with garlands with globe bulbs to create a beautiful lighting effect, perfect for summer nights.